Not really 'add-ons' as I'm not capable of any programming but it seemed a good idea to group my file as I thought you might enjoy some of them. Reproduction of the unfortunate events of the 2008 Qantas flight 30 from Hong Kong to Melbourne. A link to the full incident report can be found in the situ description itself. You will need about 2 hours to complete this scenario. Situ was already available in the past via THIS TOPIC. Take command of KLM flight 862 operated by PH-BFP from Narita to Amsterdam. Approaching ARTIP you asked ATC to enter the hold to evaluate the weather and your options. Will you press on to your destination or will you divert to a nearby airport?? Situ file could already be downloaded from this TOPIC. Meet Rachel and Ralph! These synthetic voices in UK english were developed specifically to mimic the real world automated ATIS reports. The package features all necessary sound fragments to be able to function as a full fledged ATC controller too. YouTube trailer can be viewed HERE. 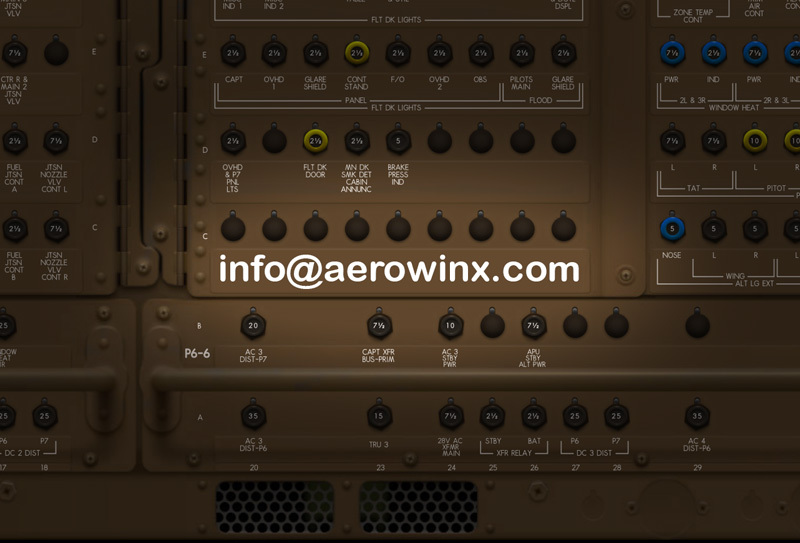 Carefully crafted using a maximum of info collected from various flightdeck movies and sometimes even using data coming straight from the airline's FCOMs. Real checklists recreated to give a professional touch to your virtual flying! A new First Officer using the standard Boeing checklists can be downloaded HERE. You'll notice the Boeing checklist are much more compact than the ones some airlines are using. Only items possibly affecting safety are checked. CAUTION: PILOT VOICE INCLUDED in PSX 10.1.0 - USE LINK ABOVE ONLY IF USING OLDER PSX versions!! Just the sort of thing I had been asking for... if this becomes a trend perhaps we can see about a single thread that organizes all community shared SITUs (in Tutorials)... or even perhaps a section on the Aerowinx Add Ons Page (HH?). I just tried your pilot add-on ... I like it! Very good quality, and very nice voice :-) Thank you! Added Rachel under ATC, Corsair International F-HSUN under Models & KLM NC! Added Air Cargo Global model. Added Air Cargo Global NC in PDF.